The age of the internet is rapidly transforming the way students learn. Most young people have already embraced this and accept it as a normal part of their daily lives. And while some tech-savvy parents are 'early adopters' of new technology, many are still a little bit in the dark about the incredible opportunities for learning that online tuition opens up. Technology is advancing on a daily basis, opening up new ways of learning and collaborating that have already transformed the educational landscape of many schools, colleges and universities. Although the tuition business has also benefitted from these advances, most tutors tend to fall into the category of traditional door-to-door, pen and paper tuition. However, more and more people are switching on to the possibility of online lessons. 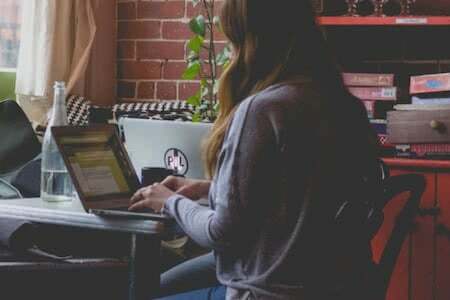 In this article expert tutor Luka outlines some of the benefits to parents and students of having an online maths tutor. Having been a secondary school mathematics teacher for many years, I do greatly value the academic rigour of a good-old-fashioned education. I recall with a little nostalgia the dusty chalkboards that were a standard feature in every classroom when I was at school and even University. But a few years ago I made the decision to be at the crest of the technological wave which is transforming the way we think about learning, rather than hold onto the chalk-and-talk methods that I had grown up with, and it has transformed my teaching practice! Now I tutor, coach and mentor students from all around the world and it has given both me and my clients an incredible sense of freedom and flexibility. Although some parents need to be persuaded of the benefits of online lessons, they quickly become enthusiastic converts when they see how quickly their children take to it. The number one benefit of online tuition is that it gives you the choice of the most talented tutors and subject specialists with the skills and personality to suit your son or daughter, rather than just a narrow selection of tutors in your local area. Families who live outside of the big cities who may have previously struggled to find a subject-specialist tutor in their area now have easy access to highly qualified and highly talented tutors from all over the country. And even those living in the city often appreciate the added convenience of online lessons, knowing that they don't have to be around to welcome the tutor, clear the lounge, have a chat or make the tutor a cup of tea! Online lessons mean that if your child lives between parents, they can still have consistent, regular lessons regardless of whose house they are staying at. And when it comes to holidays, why choose between going away for a well-deserved break or booking holiday lessons for your child? Having an online tutor also means you can go on holiday without interrupting lessons, which is especially valuable at key revision times like Christmas and Easter. If I were to sum up these benefits of online lessons in a few words it would be: freedom, flexibility, convenience and effectiveness. Your son or daughter can literally take lessons with them wherever they go. It is also a great option for those at boarding school or home school. Is online tuition as effective as face-to-face lessons? Having taught a significant proportion of my lessons this way for several years now, I can confidently say yes! Whether it be algebra, fractions, geometry even problem solving, all areas of maths can be taught effectively via online tuition. The technology available today means that online lessons offer the same opportunities for academic learning that face-to-face lessons offer. Would I need any specialist equipment? Not particularly - virtually all computers, tablets and smartphones these days have built in high-quality cameras and microphones, as well as free video-conferencing software such as Skype, allowing you to have voice communication and visual contact throughout the lesson. What about writing and taking notes? Online whiteboards are a revolutionary tool which allow students and teachers to write on the same screen and see each other's writing almost instantaneously. This means, for example, as a mathematics teacher that I can draw a diagram on the screen, which my student will instantly see, and they can then add to the diagram and write their answer on the same screen for me to see. Online notes can also be saved and used later for revision or shared with parents to show what their son or daughter has been working on. By having video contact with my students I am able to have a very good idea of their level of engagement. By asking open questions, such as "How did you arrive at that answer?" or "Can you think of a different approach?" it's easy to keep lessons purposeful and make sure that the student is actively engaged. If anything, having online lessons can actually help to focus students' attention on the material. Young people often find the virtual classroom more engaging than the traditional classroom. 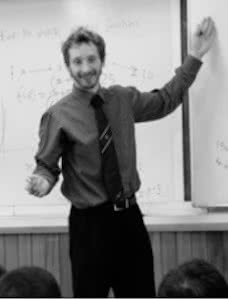 Luka is a professional tutor as well as a qualified maths teacher with a Master of Education degree from Cambridge University and 10 years' experience teaching Maths in secondary schools across the world. Alternatively you can also search our great selection of online maths tutors to find the right tutor for you.